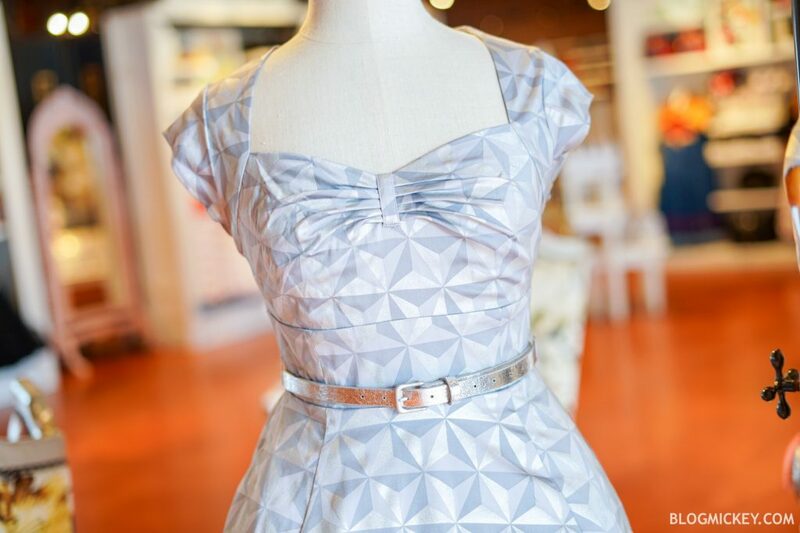 A new Spaceship Earth dress has arrived in Walt Disney World! 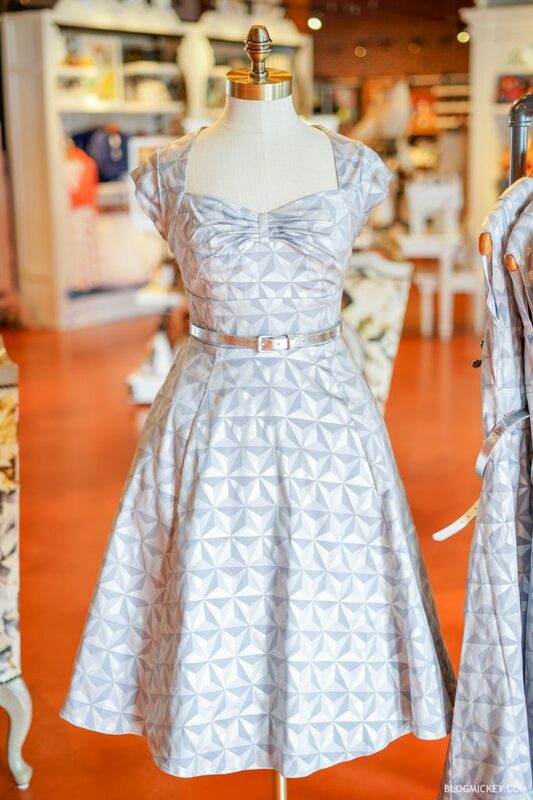 Found at The Dress Shop in Disney Springs, this dress features the geodesic shapes that Spaceship Earth is known for. Details: The bodice of the dress offers a sweetheart neckline with some rippling in the middle. Capped sleeves are featured to sit just off the shoulder, and there is a long zipper on the back of the dress. A shiny, silver belt is included with the dress as well which can be removed. 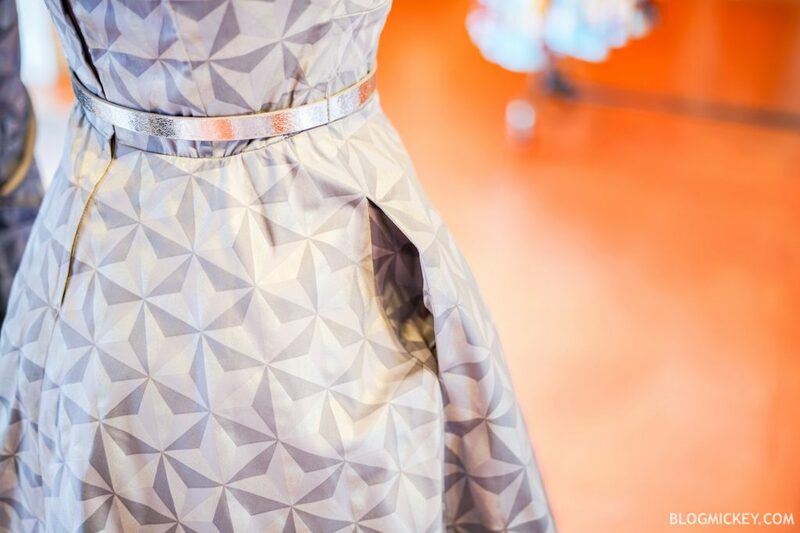 The final detail of the dress is that it has pockets which can be convenient for a day at the Parks! 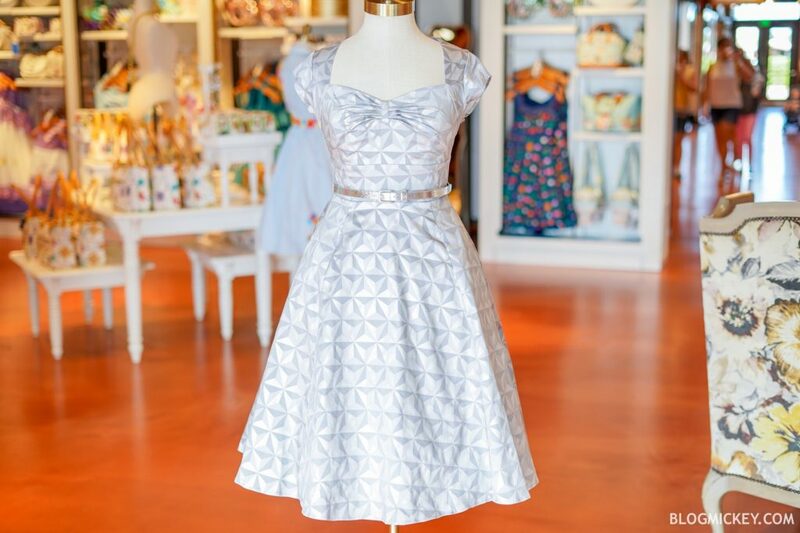 Don’t forget to pair this dress with the Spaceship Earth Ears that can be found throughout Walt Disney World. 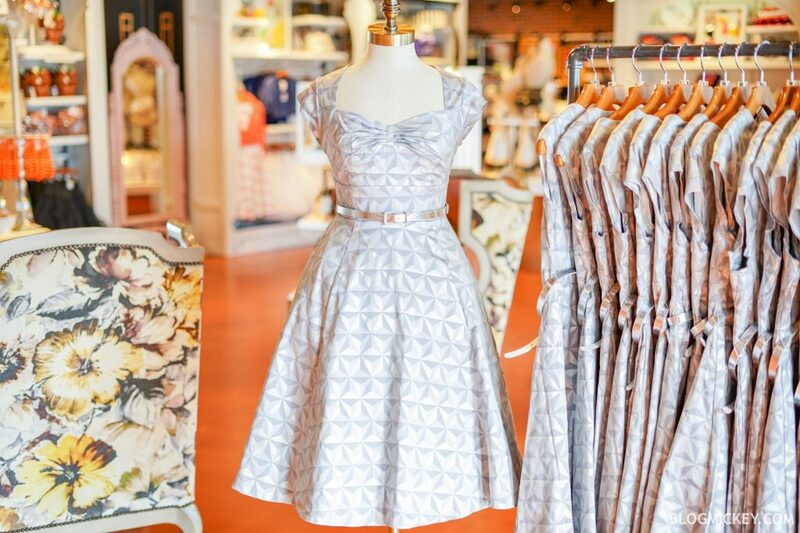 The dress retails for $128 and sizes available are XS – 3XL.